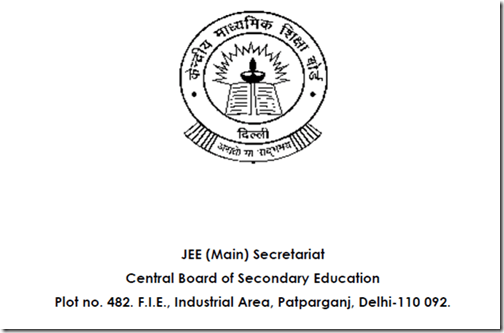 JEE Advanced is envisioned as one of the most challenging engineering exams of the world. It is also considered to be student’s idealistic gateway to the prestigious IITs. Hence, majority of the candidates striving for a seat in elite institutes take this arduous exam. Last week, we have written a complete How to Guide for JEE Advanced giving complete information on JEE Advanced. Getting through such exams has become challenging considering mounting competition. Referring the best quality study material, solving numerous sample papers of previous years, covering almost the entire syllabus of JEE advanced are some of the things that majority of the aspirants do. But then why it is that only a few are able to qualify and realize their dream? What is the reason behind their success? Hard work and intelligence cannot be considered as the only factors that contribute to their success. In fact, it is extremely important to adopt a correct strategy in the right direction in order to ace such national level exams. If you are one also one of the contenders of JEE Advanced, the as you have been preparing for it for a long while now, you already know the drill. With IIT Advanced approaching all too quickly now, the thought of competing with lakhs of students must have started taking a toll on your life. But instead of fretting over what and how to study, it is time to pep-up your preparations for the exam. Before chalking your revision plan, go through the syllabus again. Spend sufficient time on analyzing the paper pattern, the JEE syllabus and the weightage of different topics. If you have 30 days in hand, prepare a revision plan of 24 days. Physics, Chemistry and Mathematics are equally important. Begin with the subject that seems to be toughest. Try to study at least two subjects daily. This is important so that you don’t get bored of studying a single topic continuously. Remember that it’s your revision time and so you must not attempt to study any new topic. Preparing a new topic won’t prove useful as you won’t be able to master it well enough for the exam. Ø Chemistry: General Organic chemistry, Alcohol, Phenol, Ether, Redox Reactions, Chemical Bonding, Coordination Compounds, s-block and p-block elements, Aldehyde Ketone, Solutions, Solid State and Chemical Thermodynamics. Ø Physics: Electrostatics, Heat & Thermodynamics, Rotational Motion, Wave Motion, Laws of Motion, Magnetic Effect of Current & Magnetism, Ray Optics, Simple Harmonic Motion, Wave Optics. Keep NCERT books as your base books and you may use one reference book to for each subject. This is the time to revisit your self-written notes, in case you prepared some. Don’t worry even if you didn’t as you must have at least highlighted the important points. You must go through the important facts and formulae as going through the entire text again would be a waste of time. You may also consult some teacher or senior to help you in planning out your revision. But once you have prepared your plan, it is important to adhere to it. Any kind of discussion related to revision or exam with peers must be avoided. Such conversations create tension and induce anxiety. Besides revising certain portion of syllabus, you must also solve at least one previous year paper of JEE Advanced on daily basis. This will help you to figure out your weak areas so that you can improve further. As you solve the sample papers, try to analyze your mistakes so that you don’t repeat them. It is extremely important to have a very good speed in order to remain competitive in JEE Advanced. Try to adopt shortcuts and tricks for solving questions. Fretting over what all you couldn’t cover will only have a negative impact on your performance. Accept the fact that you are trying your level best and whatever happens will be for your good. It is important to practice some meditation as it helps in reducing stress. Plan some morning or evening walks, spend time with family and watch television. Don’t consider recreation a waste of time as it helps in keeping you infused with positive energy and improves concentration. It is crucial to have faith in yourself. Visualize your success and work with zeal and zest. You need to be optimistic and determined. Always assume that you will win this battle and success will surely follow.